Last week I took a trip over to Monks Wood in Cambridgeshire, it was designated a national nature reserve in 1953, and is a Site of Special Scientific Interest. It has been described as one of the best examples of ancient ash-oak woodland in the East Midlands. 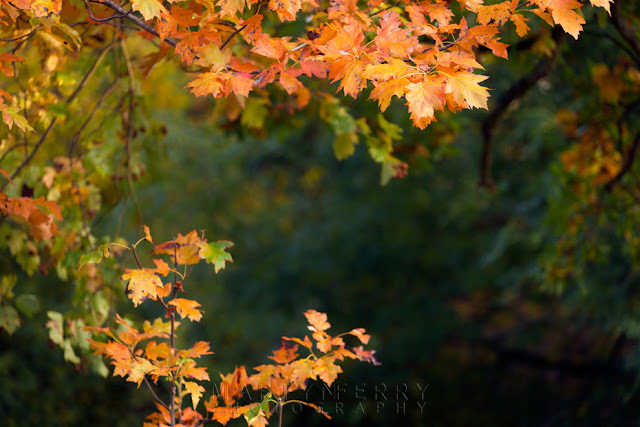 I was in search of some autumn colour, there wasn't a great deal about, but I managed to find a bit, as you see. The following images show what colour I could find in this attractive woodland. In part two we will have a closer look at the leaves and berries that adorn the trees. At the end of the day I got a few shots of the setting sun lighting up the woodland. Hi John, apologies it's taken a while to get back to you. Yes I'd be happy for you to use some of my images from Monks Wood. Just let me know which ones and I'll get them over to you. If you could include a links to my website and blog that would be great.